4k00:20PARIS, FRANCE - MARCH 22, 2018: Notre-Dame de Paris. 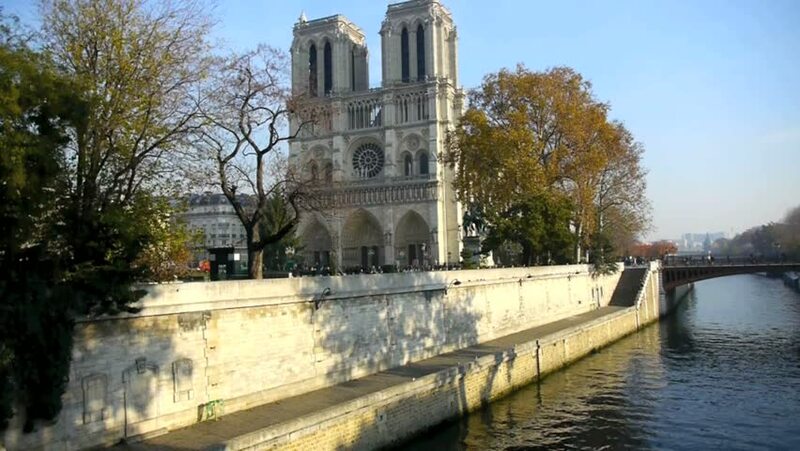 It is a medieval Catholic cathedral on the Cite Island in Paris, France. View from Double bridge before sunset. Walking tourists. 4k00:15PARIS FRANCE - AUGUST 2015: Looking up the Seine river with the iconic Notre Dame Cathedral on the left. Tourists walk along the embankment enjoying a summer evening. Shot at dusk. 4k00:16View on the bank an a bridge of the Ill river, in Strasbourg, a french city located in eastern France. There are reflections on the water. Filmed in october 2018, during the autumn.